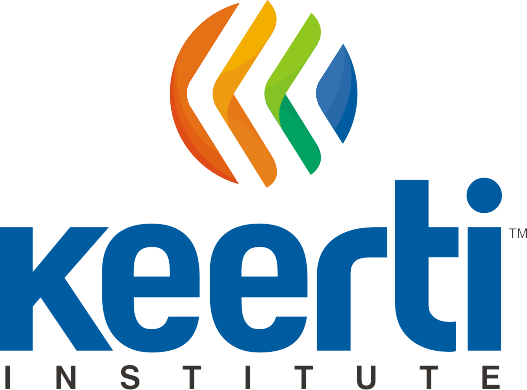 Keerti Institute is one of the top educational organizations that provide job-based skill training for the youth of India. Also, it is commonly known that students across the country are studying hard to get a good career set up. However, with the amount of competition for every job in the country, the task is more difficult than it has ever been. In such a scenario, where every employer has an extremely wide pool of candidates, only those who are talented and skilled are likely to be considered. For a job aspirant to make a good impression, they must have all the requisite skills and information to work in their industry. Keerti Institute is the place that provides a one-stop solution for this problem. Why You Should Choose Keerti Institute? 1. Unlike conventional education organizations, Keerti Institute specializes in career-driven training programs to help the youth of the country to gain basic understanding of the industrial sector they want to work for and the roles they are to play in it. 2. The curriculum here are developed by the top experts in their fields, so that students are familiarized with the current scenario in their industry and the challenges they may face are known to them. 3. It is an ISO 9001:2015 certified organization, which means that its training standards, processes and teaching methods are of the highest standards. You can rest assured that the knowledge you receive here will actually help you get recognized with global opportunities opening for you. 1. A Healthy combination of classroom sessions, workshops, lab assignments, mock sessions, industry exposure, and self-study enables the student to learn to their maximum potential. 2. The curriculum is tailored according to industry needs, so that students can start to deliver at their jobs from their first day of employment. 3. Facilities and study resources on international standards to help generate a proactive focus in the learners. 4. Highly experienced faculty, with deep knowledge in their specializations, helps students in their interactions to get any and all doubts resolved, gaining an all-pervasive insight to the subject. For the wide industrial need of the country, Keerti has designed a wide range of courses for aspiring professionals from finances & taxes, to digital marketing, architectural design, computer application, graphic design, software, hardware, and programming. With centers in Mumbai in the west and Silchar, Assam in in the east, students can avail an excellent chance to boost up their careers, and build a better future for themselves and those around them.